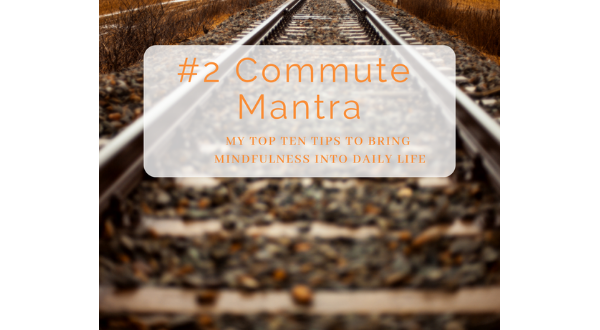 Currently, I am sharing my Top 10 Tips to bring meditation into daily life. This is my tried and tested, and personally successful process .. the way that I bring meditation and mindfulness into my daily life. Right Now. And for the last twenty years (at least). I suggest you give each tip a try .. and then select what works for you. It was after reading a Harvard Business School article on our rapidly declining ability to manage and direct our attention, and the detrimental consequences on productivity and well-being that inspired me to share how simple it can actually be – to bring meditation and mindfulness into your life. And this is not just for US and our own wellbeing, but also for the wellbeing of those around us .. our partner, our kids, our community. Because we don’t meditate to be a good meditator (what is that anyway?). We meditate to rest and restore our body, mind, and spirit. We meditate to process, and nourish and commit to, the parts of ourselves that are true and loving and kind .. and release, what is no longer needed or authentic or helpful. We show up for our meditation practice .. to show up better in our life. Meditation is the one activity known to significantly develop concentration and focus, assist us in self-managing stress, and improve our sense of wellbeing; so naturally, I want to share how YOU can bring meditation and mindfulness into your life. This can, at times, be the nicest practice of all .. especially if you are not looking forward to the day ahead. Instead of getting consumed by a to-do-list of epic proportions, I would put on my headset (no music) and settle back for a rocking journey with my mantra .. almost like a lullaby for the mind. I arrive feeling refreshed rather than frazzled. Some mantras have a literal meaning and can be translated, but most of them, according to the tradition, derive their value from their sound quality. If our mantra is composed of words that do have a deeper significance, then the mantra can also work on our consciousness .. so that our mind resonates with the meaning, instilling a deeper understanding and association with the chosen words. When reciting a mantra we totally immerse ourselves in the rhythm and vibration .. rolling the mantra from end to end, in a rhythmic loop that cuts through the mental chatter and creates a deeper state of awareness. The mantra will then weave into the flow of the breath .. and the breath into the mantra .. and then breath and mantra become one. In this way, the mantra carries us along and soon starts repeating itself, like a seductive lullaby, without our needing to tend to it. Even if there is a subtle stream of parallel discourse going on, the chanting of a mantra tends to provide us with a sense of continuity that will grow in strength with practice. Mantra is referenced in historical Vedic scriptures and predates Buddhism, in fact throughout history cultures have believed in the sacred power of words .. that uttering certain words or names could control the external world, unseen forces of the gods or spirits. I received my first mantra when I was in my 20’s and at the time I relished the novelty of rolling sounds around in my mind. They stuck and I noticed a different doorway to quiet and stillness. I also grew up with many Hare Krishna appearances at local festivals and events .. and was drawn to their vibrant blissfulness when combining mantra with ecstatic dance and movement. Even as a very young child, I remember attending church and feeling a surge of connection when it came to the closing A-H-M-E-N. I now have a personal silent mantra, a sacred and private mantra not shared with anyone, along with a very practical, and hugely empowering mantra for going to the dentist – don’t laugh, it works! AND when I was in a corporate job that was sucking the life out of me .. I had a mantra for the train trip each day which gave me the strength and compassion to keep showing up and doing the best job I could (until I could get out of there). Mantra works for me. Way back in the 1970s, Herbert Benson, professor of medicine at Harvard Medical School and founder of the Benson-Henry Institute for Mind Body Medicine at Massachusetts General Hospital, found that meditation can alter mental and physical states, which he called “the relaxation response.” Benson researched the repeating of Sanskrit mantras as well as nonreligious words, such as “one” and found that regardless of what is repeated (word or phrase) almost the same effects resulted – relaxation and an improved ability to cope with life’s stressors. “The benefits experienced in 20 minutes of meditation exceed those of deep sleep, thus indicating the regenerative power of meditation and saving of wear and tear on the body.” The Corsini Encyclopedia of Psychology and Behavioral Science.